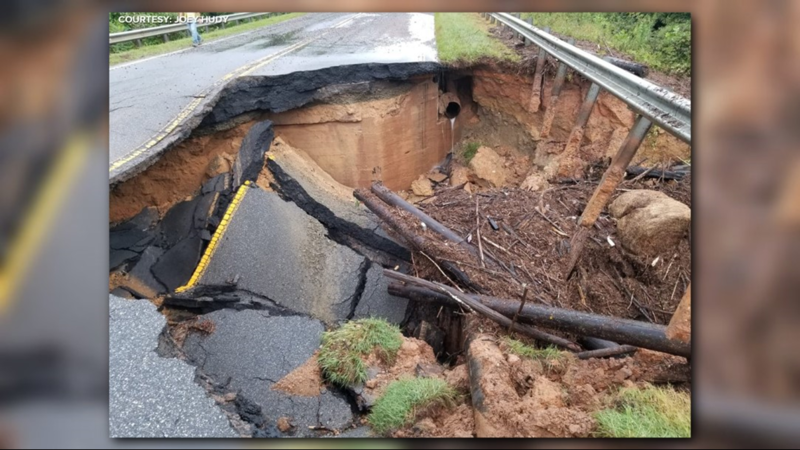 Rockingham County Emergency Services says the sinkhole is in the area of the 6000 block on Highway 135 in Stoneville. That's near Moyers Rest Home. 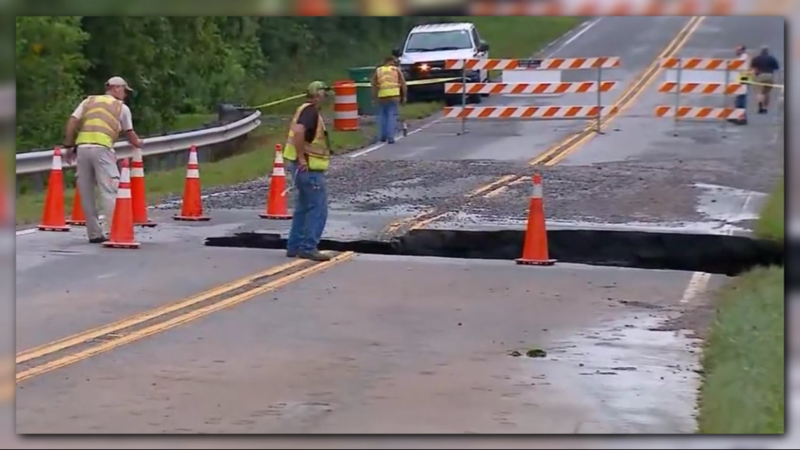 ROCKINGHAM COUNTY, N.C. -- A sinkhole has formed on Highway 135 in Rockingham County due to flooding. 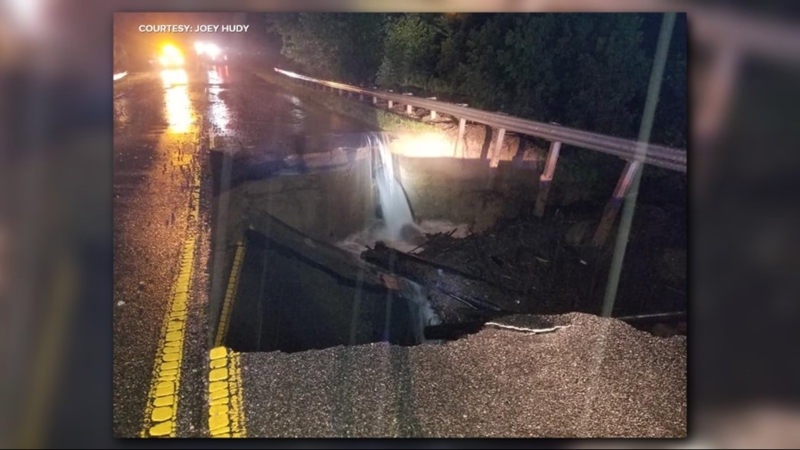 PHOTOS | Sinkhole Forms Due To Flooding In Rockingham Co.
Sinkhole forms on Highway 135 due to flooding in Stoneville in Rockingham County. 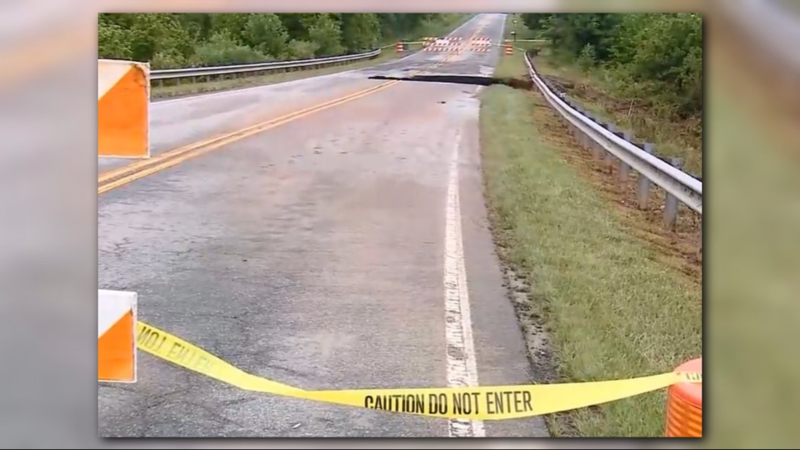 Rockingham County Emergency Services says the sinkhole is in the area of the 6000 block on Highway 135 in Stoneville. That’s near Moyers Rest Home. An alternative route to get around this area includes taking Stone Mountain Road, turning left onto HWY 770 and then onto HWY 220. 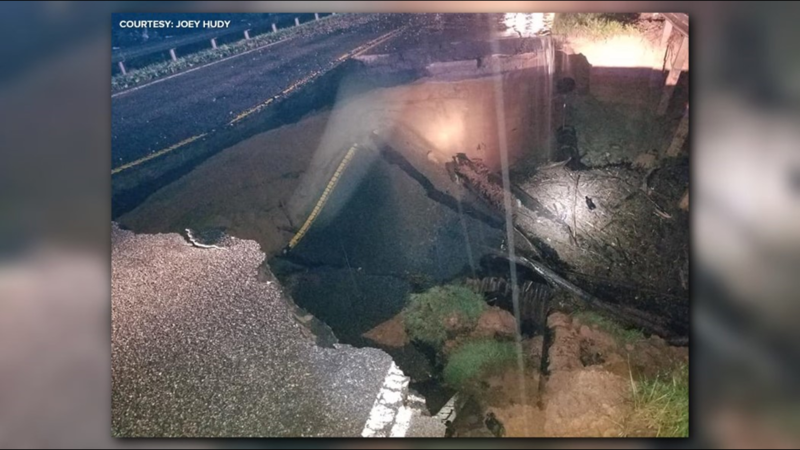 The sinkhole formed due to heavy rain in the area resulting in flooding. 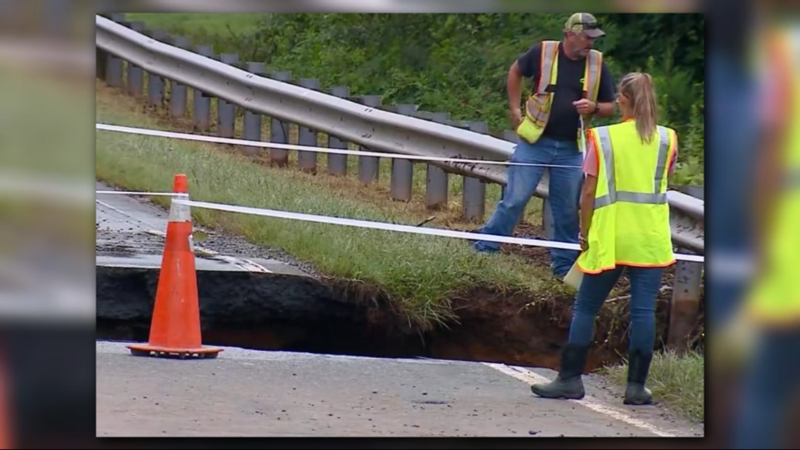 It could take the NCDOT until the end of the week to make repairs.